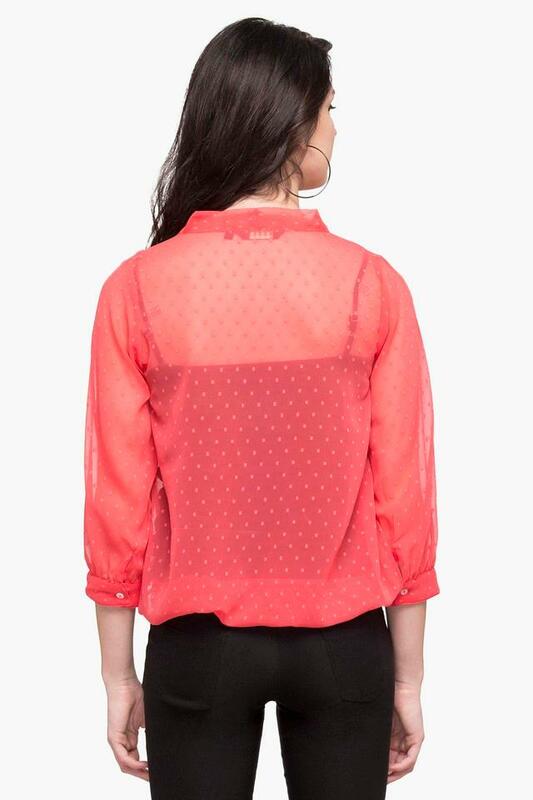 If you are in need of some fresh outfit inspiration, this top from Fratini Woman is right up your alley. It flaunts a self pattern, which renders it classy while the tie up neck further adds to its trendiness. 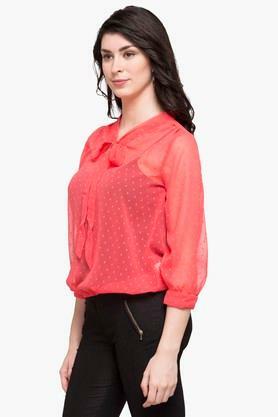 Above all, it has been made of fine quality fabric to assure you sheer comfort and easy maintenance. The top, with three quarter sleeves, will make you look pretty. 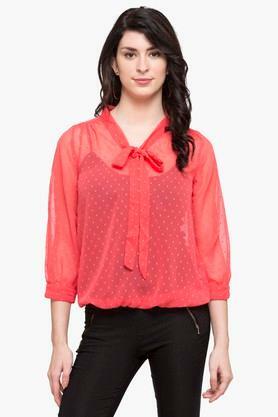 You can wear it for any casual occasion to get complimented for your rich sense of style.